On June 21, Switzerland will host the first Zurich iGaming Affiliate Conferenceby Smile-Expo. This event unites two sectors: affiliate marketing and iGaming. Guests will be able to enjoy a conference and a demo zone where experts engaged in both industries will reveal how to optimize business, while companies will present their solutions and services. Since January 1, 2019, the country has adopted the Swiss Gaming Act imposing a stringent prohibition on the activity of foreign online gaming operators. Only local companies are allowed to obtain an online gaming license. Switzerland’s Federal Council will issue the first applications for licenses until July 1, 2019. They will allow operators to offer new services, including poker and roulette. At the same time, companies will have to adhere to the strict rules that limit the sum of winnings in tournaments and lotteries. Are there any other restrictions? How will they affect the iGaming sector in Switzerland? Experts will talk about these and many other issues at Zurich iGaming Affiliate Conference. what new promotion tools are existing now. Casino operators will discover legal aspects of business operations. Software manufacturers and game developers will comprehend market needs. Affiliates and advertisers will examine better ways of promotion. The event is also aimed at representatives of land-based casinos, betting shops, affiliate networks, payment systems, law firms, PR agencies, technological laboratories, and foreign iGaming companies. Each participant is a potential business partner or an investor. The event will bring together the highly specialized audience and practical knowledge about online gaming activity. What will be introduced in demo zone? The event will feature a special area for exhibitors. They will include companies closely related to iGaming and affiliate marketing. They will show their promotion solutions, IT products for online casinos, and various third-party services. 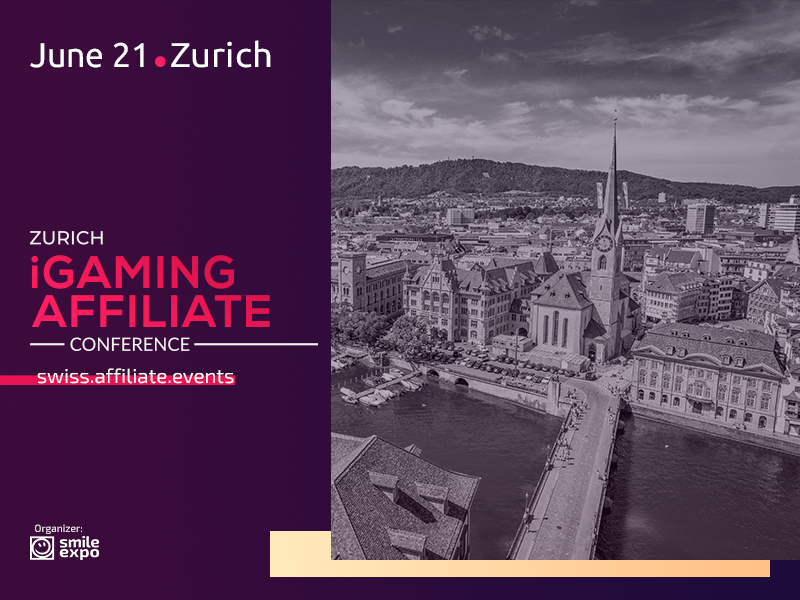 Zurich iGaming Affiliate Conference is conducted by Smile-Expo that has been focusing on the organization of high-tech events for entrepreneurs all over the world for 13 years. Event details are available on the website of Zurich iGaming Affiliate Conference.